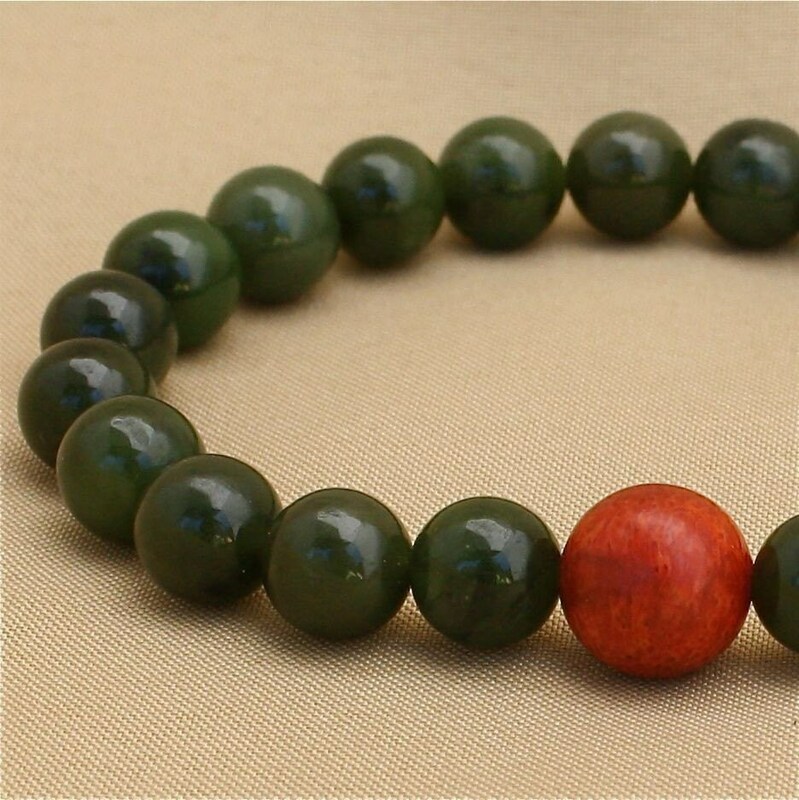 Twenty-one 8mm dark green jade (nephrite) beads plus one large, bamboo coral bead in a wrist mala that symbolizes joy, health, and energy. Wear it on your wrist to remind you throughout your day of your positive intentions, or use it to "collect" mantras or prayers. 21 is a traditional number of mantras or prayers for many Buddhists and Hindus. Strung with love and prayer on durable clear stretch cord. Will fit a 6 1/2 or 7 inch wrist perfectly. About 16.51 centimeters.